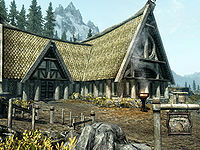 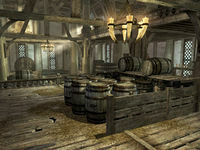 Honningbrew Meadery is a small meadery just southeast of Whiterun, owned by Sabjorn. 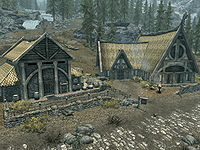 It is located at the crossroad by the bridges to the southeast of Whiterun. 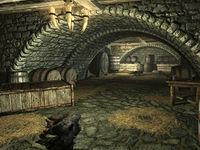 It produces Honningbrew Mead in direct competition with Black-Briar Mead. 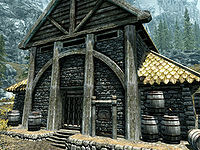 The site consists of two buildings: Honningbrew Meadery and Honningbrew Boilery, both of which share a basement. 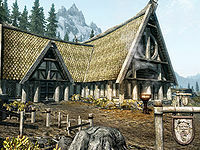 This page was last modified on 7 January 2019, at 04:27.